Surveillance is going to be a big topic in 2015. We have had the Charlie Hebdo attacks and we have seen how various agencies are capable of tracking down hacktivist and demonstrators by tapping in to their devices which they use for communication. 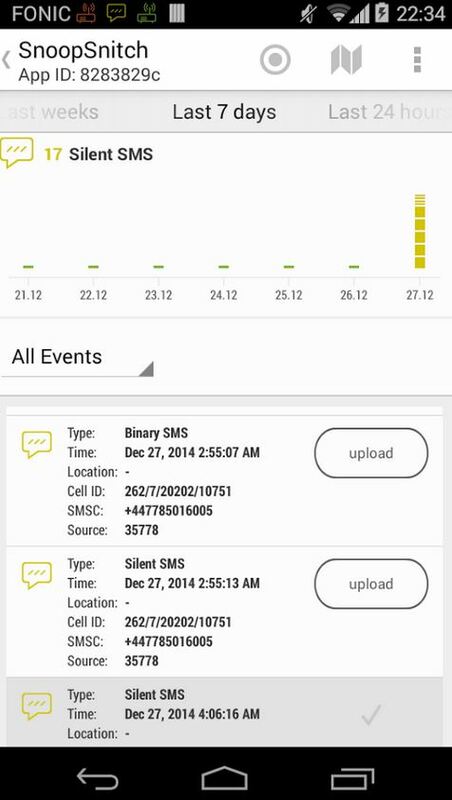 The SnoopSnitch application has been crafted to analyze your mobile radio traffic. It is the radio traffic analyzer which allows the user (you) to know if someone is snooping on their communication streams. The SnoopSnitch application will find fake mobile base stations and SS7 exploits that might target you and your device.